Wood crate built from sustainable Oregon pine (FSC) with our functional and curvy wave shape. The wave shape gives a deep crate with clearance for handlebars. Large inside-dimensions allow it to fit two full standard grocery bags. Plenty of room for your stuff or your dog! 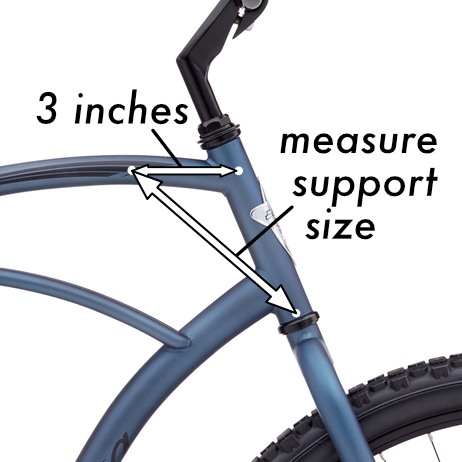 Be sure to check-out the size and fit information, below. • Natural or weathered wood finish. • Durable powder coat or zinc plated hardware. • 12”x14” inside; 7-9” deep.